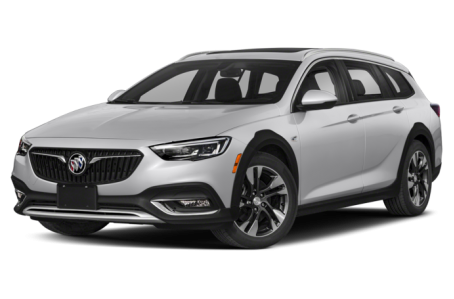 The 2018 Buick Regal TourX is an all-new, wagon variant of the regular midsize Regal sedan. It is powered by a 250-hp, turbocharged 2.0-liter four-cylinder engine mated to an eight-speed automatic transmission and all-wheel drive. Maximum cargo capacity is 73.5 cubic feet with the rear seat folded down. Three trims are available: the TourX, Preferred, and Essence.